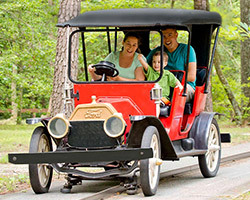 Kings Island's most beloved attraction, the antique cars ride, is returning to the park in spring 2019. 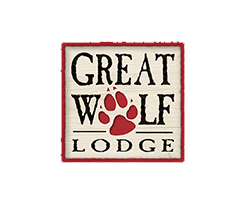 Great Wolf Lodge indoor water park resort is the perfect destination for your next family getaway, and it's the ideal basecamp for your next Kings Island adventure! UNLIMITED Visits and FREE Parking in 2019 including Soak City, Halloween Haunt and WinterFest. Don't miss a minute of the fun! You'll find all of the calendars and hours for Kings Island, Soak City and WinterFest right here. Readers’ Mailbag: Is it Racer or Racers, Dodgem or Dodgems? Happy Friday! 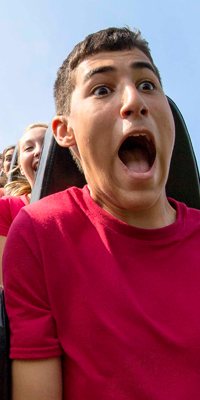 Can you believe we’re already halfway through March and just five weeks away from the start of the 2019 season, which begins on April 20 (April 19 if you’re a Gold or Platinum Passholder)? Our readers continue to submit some great and interesting questions. Keep them coming! We’ve had a number of discussions about hosting a winter event over the past several years and it is something we want to do. However, it has been difficult to find a date to host an event without there being a conflict with other winter events taking place in the region in January and February, such as the American Coaster Enthusiasts No Coaster and East Coaster Cons. The majority of the time they’re sent to another park that has a similar ride where they may be put into service or stripped down and used for replacement parts, or they’re demolished along with the ride if there is no future use for them. It’s no myth. 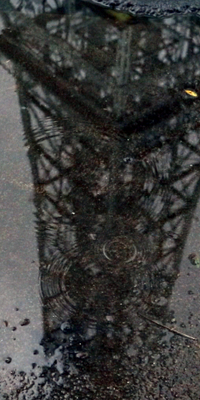 The Eiffel Tower was originally planned for Coney Island but was put on hold when plans to build Kings Island began to develop in the mid-1960s. Rocky Mountain coasters (RMC) are great rides. I’ve enjoyed my rides on the RMC coasters that I’ve experienced, including Steel Vengeance at Cedar Point and Twisted Timbers at Kings Dominion. In regards to an RMC conversion for The Beast, there's no reason to go that route. 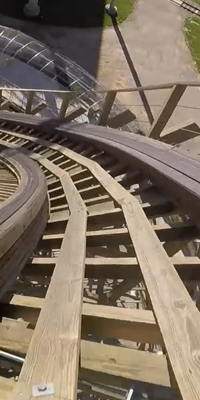 When you talk about The Beast, you're talking about arguably the greatest wooden roller coaster ever built -- the holy grail of wooden roller coasters. Our guests and roller coaster fans around the world absolutely love The Beast. 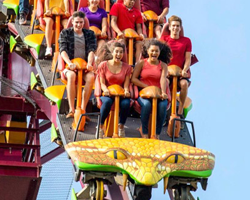 It is one of only two roller coasters that have been on every top 10 list Amusement Today has published since the inception of the Golden Ticket Awards in 1998 and its No. 5 ranking in 2018 was the highest The Beast has ever placed, so it's not losing any ground to the more modern wooden roller coasters that have been built in recent years. Forty years after it debuted it's still a great ride; still a marquee attraction. The official names of the rides are The Racer and Dodgem. RELATED: Whatever happened to the Kings Island Hall of Fame? RELATED: What roller coaster was more important to Kings Island, the Racer or The Beast? RELATED: Readers’ Mailbag: What became of the towers, gondolas and other parts from the skyride? RELATED: Readers’ Mailbag: Why was the last dip on the Racer removed in 1996? RELATED: Readers’ Mailbag: How many parking spaces are there in the parking lot? 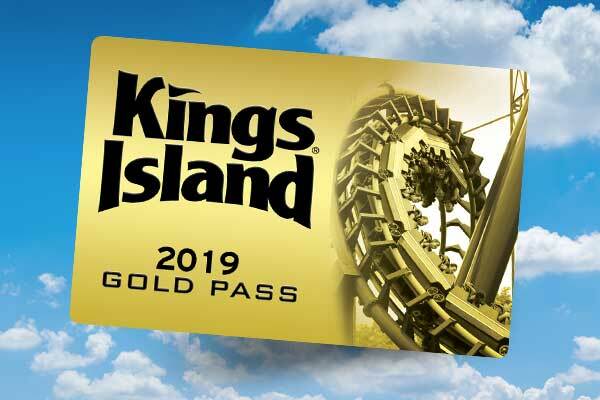 To submit your questions for possible inclusion in a future Kings Island Readers’ Mailbag blog, click here. While there’s still 59 days left of summer, the holidays will be here before you know it, so it’s time to start thinking about WinterFest at Kings Island. It’s called Christmas in July for a reason, right? 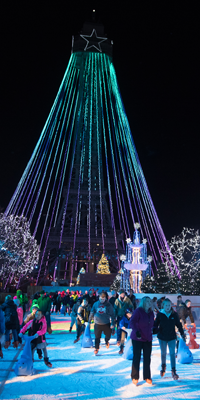 In just a few months, Kings Island will be transformed into enchanting winter wonderlands featuring ice skating on the Royal Fountain, the Eiffel Tower turned into a magical Christmas tree, rides, millions of lights, live holiday-themed shows and characters spreading merriment, like Jack Frost and the Sugar Plum Fairy. Welcome to the Kings Island safari! On this journey we’ll take you through all the fantastic creatures you may encounter as you ride our record-breaking roller coasters like Banshee, The Beast and Mystic Timbers. Read carefully! Keep this guide with you as a reference on your next visit. Remember, No matter which creature you encounter, it can’t ruin the thrilling experience of a Kings Island coaster. Happy riding! Kings Island and roller coasters are synonymous, particularly wooden roller coasters. The 46-year-old amusement and water park boasts four wooden roller coasters (five if you count each side of the Racer separately). One of them has been a record-holder for 40 seasons! It’s not the tallest or fastest ride at Kings Island, but it is one of the most recognized rides in the park and a staple attraction. The Scrambler is celebrating its 50th season this year and has delighted generations of people since it made its debut in 1969 at Cincinnati’s Coney Island, and continues to put smiles on faces of guests old and young, whether they are experiencing it for the first time or reliving childhood memories. You’re pumped up and ready for a great day at Kings Island when you check your mobile device and see the weather report. Unfortunately, the forecast calls for rain and your plans seem to be washing away with it. Don’t worry! Rainy days can be the best days to visit Kings Island. The wait time for your favorite rides and attractions will be minimal, plus there's more to do than rides. Come feel the surge of excitement as The Beast, the longest wooden roller coaster in the world, unleashes its awesome power on the unsuspecting; as Banshee, the world’s longest steel inverted roller coaster, makes your heart pound with anticipation; as you snake your way along 5,282 feet of track at speeds up to 80 mph on Diamondback. Or as The Bat, a coaster that hangs in mid-air, takes you on a frenzied flight. 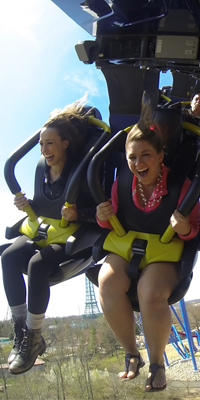 Year after year, some of the best thrills and memorable ride experiences the world has to offer are at Kings Island. Year after year, the best thrills just keep getting better. If you’re looking for something fun to do, round up the kids and head to Kings Island July 25 for National Carousel Day, also known as National Merry-Go-Round Day. The annual celebration marks the day William Schneider of Davenport, Iowa, was issued the first American patent for a carousel, in 1871. 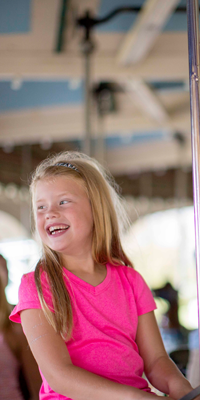 The mission of the day is to direct attention to the hundreds of historical carousels still in operation today and continue to bring joy to riders of all ages. What’s in a name? How about nearly 70 years of comic strips and cartoons! 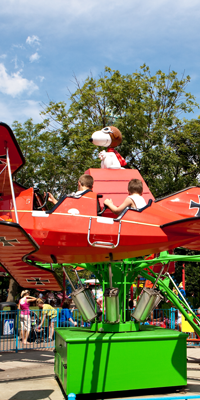 Each Kings Island ride has a story behind its creation and theming, but the Planet Snoopy rides have some extra history to them. 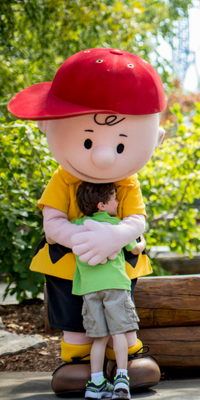 Read more to learn how the adventures of the PEANUTS gang inspired rides in Planet Snoopy. For people with autism, a trip to an amusement park can be a challenge. 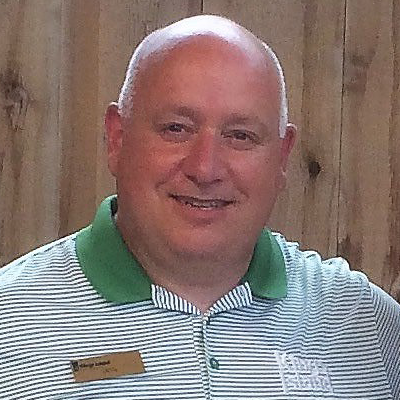 Kings Island and the Autism Society presents Autism Awareness Week, July 16-22, with special features so all guests can enjoy a great day at the 364-acre amusement and water park. 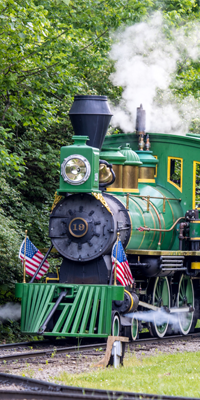 Visitors to Kings Island who have nostalgic longings for the days of steam on the railroad would enjoy a trip aboard the K.I. & Miami Valley Railroad. The two locomotives, manufactured by Crown Metal Products Co., in Wyano, Pa., opened with Kings Island in 1972 and designed around the 4-4-0 American styled “General” engine which was built in 1855 and was the subject of The Great Locomotive Chase of the American Civil War.